pictures you hold in your mind today." 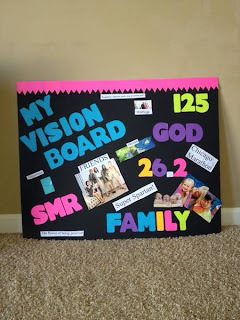 A vision board, also called a dream board, is a collage of words and pictures depicting your dreams and goals usually specific to one aspect of your life. 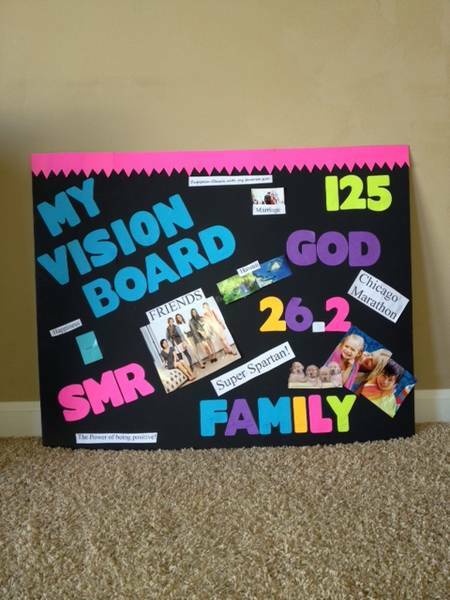 Vision boards have received a lot of acclaim lately because of the world-famous book, "The Secret." A vision board can set you on a path to achieving dreams and goals that may have previously eluded you. The key to a successful vision board is to post it in a place where you have to look at every day and it can serve as a constant reminder of what you are working toward. I have wanted to make a vision board over the past few weeks, but today I felt like I needed it now more than ever. I feel very good about what direction my life is taking me, but I don’t want that feeling or momentum to fade. I feel like I need a constant reminder of what is important to me in my life. I went to ehow.com as a reference for making my vision board. Gather as many magazines as you can that you are comfortable destroying. Go through each magazine looking for pictures and words that are in line with your goals. This is a fun part of the creation of your vision board. Tear out all of the pictures or words that seem relevant and place them in a pile. Keep doing this until you have a very large pile of material to choose from. 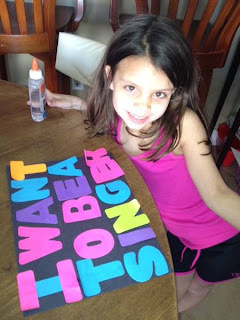 Take the pictures and words and start laying them out on your poster board or cardboard backing. Discard anything that may no longer fit or does not work. Move things around until they fit well and look right. This is also where you may want to organize your board. For instance, if you are working on your personal goals, you may place images of a house in one corner, money and credit cards in another corner, school or continuing education in another corner and then friends or hobbies in the last corner. Many people organize their boards by themes but there are others who like to place pictures all over the board rather than assigning corners. You may want to consider leaving some space to write words that you were not able to locate in the magazines and leaving a space in the center of the board. Start gluing and taping. 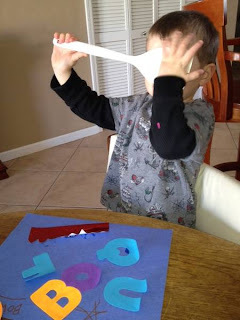 Turn over each picture or word and add glue or tape to secure it in place. Once you have finished getting everything into place, you can use a marker to draw words or images that you feel are important to your vision board. Place your picture in the middle of the board and make certain that it is a picture where you are smiling and happy. This is because your smiling, happy picture will be in the center of all of your dreams and goals. Hang your vision board in a place where you will see it every day. This should be an area in your house where you spend a lot of time or are constantly walking through. Some great locations include the back of your bedroom door, a home office, a refrigerator or a bulletin board. Looking at the board every day will cause you to always be aware of your dreams and goals. Here is a picture of my vision board. As you can see I have outlined my core of God, marriage, my children, my family, and friends. I have focused on my goals of completing the Chicago Marathon, the Super Spartan, and the Pumpkin Classic with my daughter. I have outlined my training plans and my weight loss goal. I felt these were important as my weight-loss challenge is ending and I want to maintain the loss and keep the scale going in the right direction. I outlined my home sale and travel dreams, too. A girl’s gotta keep dreaming! J Plus, my kids had a great time making their vision boards this morning, too. To all of you out there I hope all of your dreams come true & all of your goals are achieved! Comments? Questions? Email us at sexymotherrunner@yahoo.com.